One of Australia's biggest supermarket chains said Wednesday some stores were moving baby formula behind counters and restricting sales as it emerged customers were clearing shelves and selling it online in China for more than double the price. 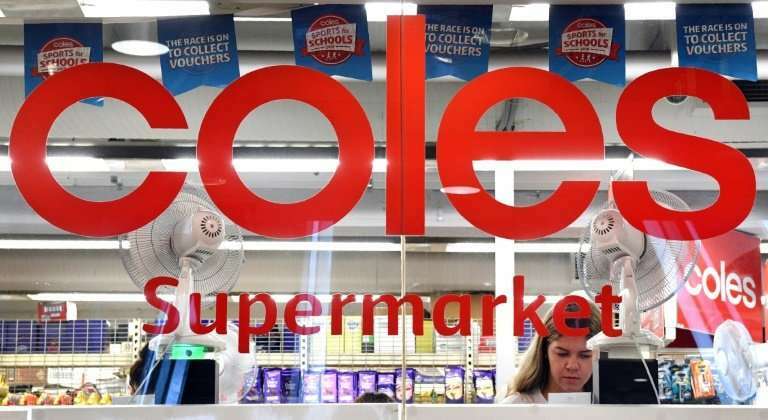 Coles' decision to take the milk product off aisles follows complaints from worried mothers over supplies and after Sydney's Daily Telegraph reported one kilogram tins bought for up to Aus$35 (US$26) were being resold to Chinese parents for around Aus$100. "Coles is committed to ensuring that our customers with a genuine need for infant formula have access to this product," Coles said in a statement. "To make sure we have formula available for customers, in some stores we are keeping infant formula behind the service desk or using specially designed electronic article surveillance lids that can only be removed at the register." The supermarket giant is restricting sales to two tins per customer and working with suppliers to improve availability. Woolworths said it had no plans to remove the product from shelves but has also tightened restrictions to two units per customer. In 2015 an Australian company apologised to mothers after its premium organic baby milk formula was wiped off supermarket shelves ahead of China's Singles Day. Demand for foreign infant milk products has soared following a series of food scares in China, including a 2008 scandal over locally produced tainted formula that left six children dead and made more than 300,000 ill.
Simon Hansford, owner of producer Milk Powder Solutions said the strong Chinese demand reflected the quality of Australian produce, but also welcomed restrictions to protect local supply. "The Chinese consumer, they are doing nothing illegal, they are actually supporting our dairy industry," he told commercial radio station 2GB. "The Chinese consumer is very comfortable about buying Australian produce if it is coming from (Australian) supermarkets, they tend to look at the produce as a famous brand."